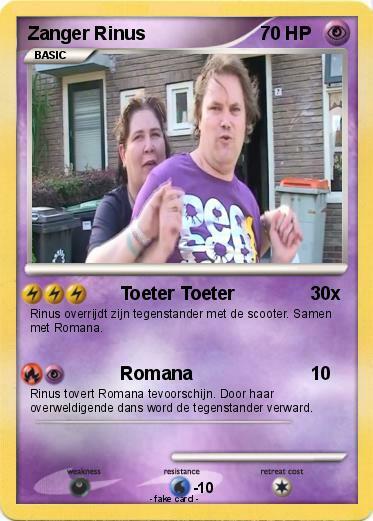 Thus is the case with this scooter-heavy musical number starring Zanger Rinus or singer Rinus in Dutch and his friend Romana. 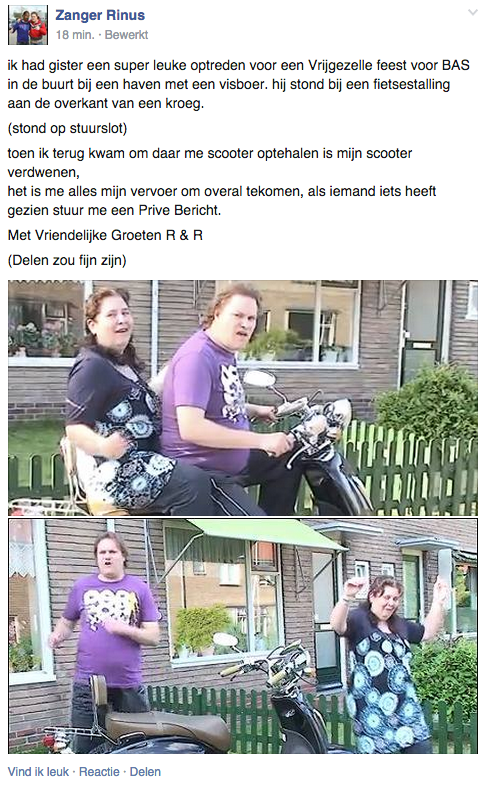 He has no official artist page, but does have an maintained by some admirers and a with more than 80 members. . Could this be a Dutch guy trying to make it big, or is it just a couple of goofballs making videos in their yard? We may not know for sure, but that's not gonna stop us from watching. We can say that he has been doing this for years, is mentally challenged and we think it's awesome that he has the bravery to put himself out there. Every once in a while a mythical beast of a YouTube video comes along where you can't tell if the people in it are kidding or being 100% serious. .